Cars are an important part of our modern lives and society. Unfortunately, many people take their vehicles for granted and forget they are behind the wheel of a potential killing machine. When a car accident occurs in Georgia, it is the responsibility of the insurance companies involved to pay the necessary amount of coverage for that specific claim. Many times though, an insurance company will not want to pay out as much money as a claimant deserves. In addition to insurance costs, you may also sue the driver of the other car if their recklessness or negligence caused the accident. In both of these circumstances, an Atlanta car accident attorney can be a crucial part of collecting the damages due to you. If a reckless driver caused injuries to you or a family member, they may be liable for all of the above expenses, as well as punitive damages. 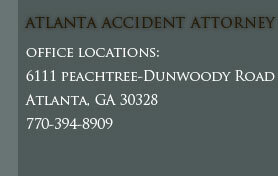 Our Sandy Springs office offers Atlanta accident attorney representation to Roswell and Marietta as well. When you or a family member has been involved in a car accident, it can be a terrifying experience. Ashenden & Associates, P.C. offers sympathetic services to you and your loved ones while presenting an aggressive case against the other party that owes you money. 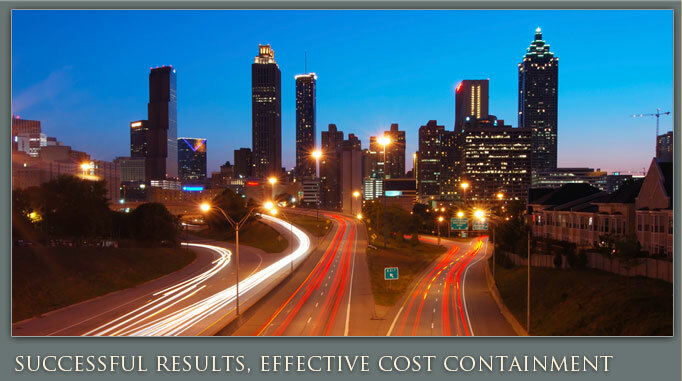 Every Atlanta accident lawyer in our firm has the utmost experience and skills needed to receive the maximum reward in all of the Atlanta car accident claims we represent.